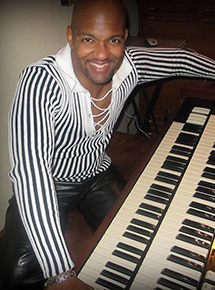 Gerard William Gibbs, born November 16,1967, has been a lover of jazz ever since his father introduced him at the tender age of three to the music of the late jazz organist, Richard "Groove" Holmes. At age of seven, when he later had the opportunity to meet Holmes, Gerard grew to idolize Holmes. He knew then that one day, he would play jazz just like his idol. In the summer of 1981, while recovering at home from corrective leg surgery, Gerard received a surprise visit from "Groove" Holmes. Holmes took an immediate interest in Gerard and began to show him all the "tricks of the trade." Until HolmesÃ¢â‚¬â„¢ death in 1991, Gerard had the kind of friendship and mentoring relationship with this international jazz organist that only others can dream about. Currently, Gerard performs nationally and internationally on the concert circuit with saxophonist James Carter. He also lends his talents as musical director to saxophonist Marion Meadows. While at home, Gerard remains busy as a dedicated husband to his wife, Tira and father of two sons, Tyler and Alexander. He is also performing around Detroit and its surrounding areas as the bandleader of either is contemporary jazz quartet: RYZ, or his organ trio: Gerard Gibbs & ORGANized Crime. Gerard credits his well-rounded persona to his loving parents: Drs. Gerald & Erma Gibbs.